It is commonly thought that The Rolling Stones were The Beatles main rivals but there was a much more worthy adversary that threatened, and often eclipsed, the Lennon/McCartney stranglehold on the charts between 1963 and 1967. Paul McCartney has been credited as being the most successful songwriter of the modern pop era. Behind him at #4 was John Lennon. Who was at #2, 3 & 5? Brian Holland, Lamont Dozier and Eddie Holland respectively. 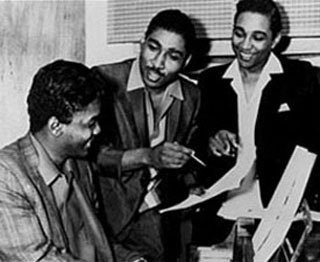 Holland/Dozier/Holland (HDH) were the leading producer/writer team at Motown during the golden period of 1963/7. They composed over 200 songs, 130 of which charted. They had over 70 Top Ten Hits, with more than 20 reaching Number One. The core of their successful output was written in 1964, 1965 and 1966 – years which produced a body of work that is one of the greatest in popular music. Below is a list of HDH and Beatles #1 songs in 1965. It’s almost as if they were handing the baton back and forth to one another. Half of that year, either HDH or Lennon and McCartney held the top spot. The links between HDH and The Beatles are many and varied and not limited to chart positions. It starts with a song tucked away at the end of side one of The Beatles second album “With The Beatles”. As they were rushing to complete the album, The Beatles raided their personal record collections for material. One of the songs picked was also the first #1 Motown ever had. The Beatles’ version of “Please Mr. Postman” was a hurried recording and not one of their finer moments but one of the co-writers of that song was Brian Holland. Brian Holland and his brother Eddie were raised in the extended family of The Davison Avenue Baptist Church, Detroit, nurtured by a caring family and neighborhood. Music was at the center of their everyday life. Before kindergarten, Brian would accompany his grandmother to church and rehearse with the choir. Eddie was the more charismatic brother and a natural front man, while Brian tended towards directing the music and assumed responsibilities for the harmonies. Eddie was the first to turn professional and was managed by ex-boxer, ex-soldier, ex-record-shack owner and recent employee of the Lincoln-Mercury Plant, Berry Gordy. Gordy was soon to form his own record company which he called Tamla Records and signed Eddie as an artist. Eddie had minor successes as singer but was not troubling the bank with overly large deposits. Two years after Eddie began his career, he introduced his teenage brother Brian to Berry and the embryonic Tamla Records. Brian was a quick study and as a result signed a songwriter’s deal with Jobete Publishing. He served as an apprentice, and then became a full-fledged recording engineer. Brian met Lamont Dozier at Motown’s studio while the latter was playing piano. Brian suggested that they might write together. And so one of the great writer/producer partnerships was born. What HDH created was a synthesis of sophisticated pop songwriting and raw gospel, written and produced for car radios which, like all Motown songs, were built in Detroit on a production line. Paul often brought in Motown records to Abbey Road Studios to play for their engineer Norman Smith, demanding that he recreate the bass sound they heard on their productions. 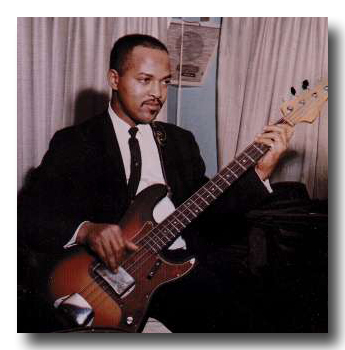 Motown’s Bassist, the magnificent James Jamerson was a master of the instrument and re-imagined what the bass guitar could be. Check out Stevie Wonder’s – I Was Made to Love Her. There is not a single measure that repeats throughout the tune and yet the groove is utterly compelling from start to finish. Brian Holland found new ways to record the bass including recording the acoustic bass on the backing track and then dubbing the same part on electric bass afterward to give the part both air and power. It wasn’t until Geoff Emerick took over the engineer’s seat for The Beatles in 1966 that Paul was able to get a bass sound that he felt was even close to what Jamerson was doing. Often we have complained about the overly loud and inept tambourine parts on many of The Beatles recordings. It is possibly the most irritating and lazy part of many of their productions. The tambourine parts on Motown records are just as loud, but you will hear few complaints from us about that. Percussionist Jack Ashford could take the tambourine and make the backbeat explode (Nowhere To Run – Martha And The Vandellas), shimmy (Heard It Through The Grapevine – Marvin Gaye), skip (You Can’t Hurry Love – The Supremes) or simply make you move. Listen to the tambourine part on “War” by Edwin Starr (absolutely no relation to Ringo) to hear the possibilities of the instrument. The traffic was not all one way. Two weeks after Holland/Dozier/Holland heard “Strawberry Fields Forever” they returned to the studio in a much more experimental frame of mind. The chaotic tape rewind sounds – a precursor to vinyl scratching – and oscillator effects can be traced back directly to what the Beatles were doing almost 4,000 miles away. “Ticket To Ride” was recorded in February 1965. At the same time Holland, Dozier, Holland were writing and producing what was to become the 5th straight #1 single for The Supremes – “Back In My Arms”. I get the feeling that the protagonist in “Ticket” isn’t too bothered by the fact that his love object is leaving him. "I think I’m gonna be sad, I think it’s today, yeah". “She said that living with me was bringing her down yeah. Obviously this was a doomed relationship from the beginning and Lennon is glad to be shot of her. The Supremes version of “Back In My Arms” deals with another type of denial. The Diana Ross character has broken up with her boyfriend. All of her friends know this guy is no good for her but she is insistent that this is the man for her. My favorite lyric comes in the third verse when Diana refers to her fellow singers by name. “How can Mary tell me what to do, When she lost her love so true? And Flo, she don’t know, ‘Cause the boy she loves is a Romeo"
This is a genius bit of branding before the concept of branding even existed. Using the real names of the singers in the lyric made the song more real for the listener. On the album in which this single appeared, More Hits by the Supremes, and on the cover of the official single, each member is pictured separately on the front, with her signature above it. Advertising themselves as they sell the song. Very 21st Century. Very Warhol. Lennon claimed that “Ticket” was the first Heavy Metal song. I can see his point but when I hear McCartney’s dreamy arpeggiated guitars I think of San Francisco and Psychedelia, not head-banging. Ringo’s anticipated snare/tom part in the second part of the bar accents the dreamy feel. For some reason he changes the part in the last verse making the song much more ordinary. I love both these recordings. They show both production teams at the top of their game. The Beatles, trying to break new ground, bringing new sounds to the masses. HDH referring to their gospel roots as they transcend them. The Ukulele version re-imagines “Ticket To Ride” as a Holland Dozier Holland production. The song opens with Ira Seigel’s ukulele channeling the spirit of Robert White, Eddie Willis and Joe Messina from The Funk Brothers. Jenny Dee and her Dreams shimmer over top of a pulsing backing track. Our own Brian Holland – Greg Clark arranges the vocal group. And as a finale, Gary Schreiner blasts out on the chromatic harmonica on the coda in the style of his hero “Little” Stevie Wonder. Jenny Douglas was born in Chicago, IL. and was raised in Lexington, KY. Lexington was a city with limited places to hear live music with the exception of Church and Television. Her mother Ella Louise Douglas was the fire that sparked a plethora of music genres to Jenny and her three younger brothers. All siblings are music appreciators. However, Jenny would be the only one to explore music. It was the love of her mother’s voice that would inspire and terrify her as a child. Jenny suffered from extreme stage fright around her mother. So, she began to sing in her church choir at seven. Her father was a child prodigy with his own big band at age fourteen. However, this fact would remain a secret until her early twenties. Jenny studied music from elementary through college playing the clarinet. She also studied and majored in musical theater. While in college she was asked to audition for a band signed to a major records label. 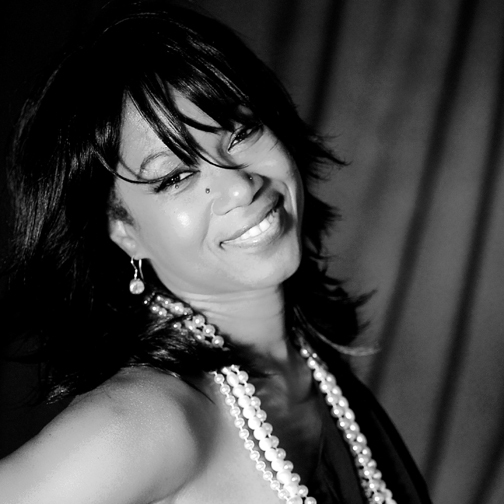 She completed two albums and then moved to New York to pursue her theater career. In less than a week Jenny was working in the city as a session singer, lead and backing vocals. Then musical theater came calling. It was then that she got here first world tour offer as a backing vocalist. The rest as they say is history. The list of artists are as diverse as the genres they represent. They include: Pink, Cher, Mick Jagger, Rob Thomas, Tina Turner, John Mellencamp, Toto, Janet Jackson, Patti Labelle, Patty Austin, Taylor Dayne, Hugh Masekela, Donny Osmand, Dr. John, Luther Vandross, Chaka Khan, and Joe Cocker. It is most fitting that Jenny jumped to the idea to cover a Beatles tune with David. "When I was six or seven I got sick with pneumonia in one lung. I begged my mother and grandmother to let me see the news that night featuring The Beatles before going to the hospital. They obliged and I was transformed".